Edelman until successor is elected. 14-05-00999-CV Mercedes Wilson-Everett, Individually and as Respresentative of the Estate of Ruby J. 14-06-00580-CV Anglo-Dutch Petroleum International, Inc., Anglo-Dutch (Tenge) LLC, and Scott Van Dyke v.
Company and Trammell Crow Houston, Ltd.
14-05-00554-CV In the Matter of T.A.W. P.L.L.C., and Robert Malone, M.D. 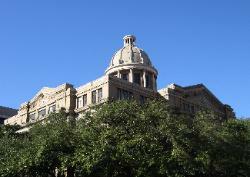 Silver Lion, Inc. v. Esperanza Martinez (Tex.App.- Houston [14th Dist.] Mar. 6, 2007)(Justice Richard H.
Warwick Towers Council of Co-Owners v. Sydow (Tex.App.- Houston [14th Dist.] Jan. 11, 2007, pet.